The emerald sheen illuminating the Sabbatarian burying ground, 8 Mile River's misty figures which emerge at the Devil's Hopyard, and flying demon skeletons on Charles Island these bizarre haunts are uniquely Connecticut. In the ghostly lore of the state, the ambient ramblings of the Leatherman still ring out in the caves of Harwinton's forests and the former residents of the Hale Homestead continue to roam the attic at night. 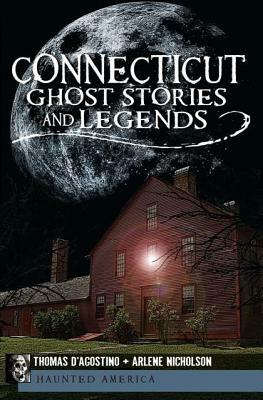 Join authors and Paranormal United Research Founders, Thomas D'Agostino and his wife Arlene Nicholson, as they recount bone chilling mysteries from Putnam, Canton, New London and many more shadowy corners of the Nutmeg state.